Rob Mazurek seems to have tapped an endless source of creativity. He’s been a major force in music since at least the mid-90s, leading the various incarnations of Chicago (and now Sao Paulo) Underground, his large ensemble Exploding Star Orchestra, among many other groups, and has appeared on a massive list of albums from people like Tortoise, Jim O’Rourke, Brokeback, Sam Prekop and more. In the past few years, Mazurek has turned to both solo performance and visual art, expanding his already forceful creative vision into new territories. 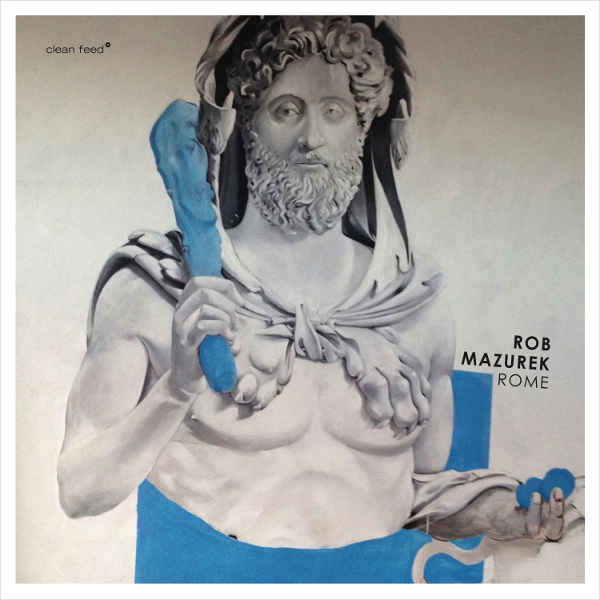 Rome was recorded in 2014 in the studios of Italy’s Rai Radiotre Suite Jazz with Mazurek performing on cornet, piano, and electronics. The influence of visual art is most obvious in the song titles that reference Cy Twombly, Caravaggio, and Fellini, but the influence isn’t as shallow as just song titles. 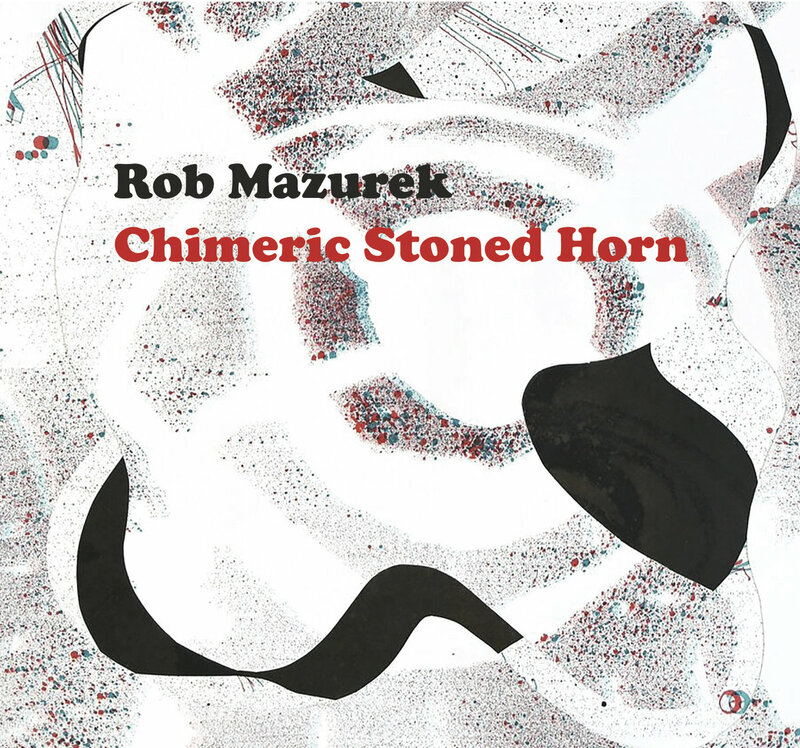 One can feel the depth of Mazurek’s respect and admiration for these artists throughout the album. Rome opens with “Twombly at New Church,” a piano cluster followed by a beautifully unadorned cornet solo, the two instruments alternating throughout the piece. The cornet lines swirl like the endless circular lines Twombly used in work like Untitled (New York City) from 1968 and drip like the red paint of Untitled (Bacchus 1st Version IV) from 2004. Twombly is also connected to Rome, having lived there for many years. The subtle electronics of “Gazing Through Walls (Two Paintings By Caravaggio)” counterbalance the piano, both pointing toward the pathos of Caravaggio. The piece brings forth the darkness and vivid imagery of Caravaggio’s paintings without being merely programmatic music. “Gazing Through Walls” covers an impressive amount of space in its relatively brief six and a half minutes. “King of Rome” is dedicated to Pino Saulo, the executive producer of the original radio session. The electronics sound almost like the work of Bebe and Louis Barron from the 1950s, which are overlaid with a scorching but restrained cornet solo. Around the 10-minute mark, the track takes an unexpected turn into highly rhythmic prepared piano for the last five minutes of the piece. The final track “Sweet Life in Disrepair” is dedicated to the great director Federico Fellini, another longtime resident of Rome. The cornet feels like a noir-ish character, walking down empty streets in a trench coat, met by blank buildings and empty doorways, footsteps echoing along cobblestone streets. After a round of applause, Mazurek embarks on an intense piano solo. From the relatively spare beginning through clouds of tremolo almost reminiscent of Chris Abrahams. The cornet slowly slips back in, providing a coda to the track. “Sweet Life in Disrepair” alone is worth the price of the album. Recorded in the wilds of western Texas at the Experimental Studio in Marfa, Chimeric Sound Horn is Mazurek digging deep into the dark side of electronics, using modular synths and samplers to mutate his piccolo trumpet and voice, breathing life into music that dances before your eyes. Most of the tracks are short, almost brutal slices of sound. With the exception of the opening cut “Arrival From a Distance,” the rest of the tracks are under four minutes, with half being under two. The album flows well together, shifting through an array of bright colors and thick textures that play across one’s tongue as it echoes through the ears. This album will give anyone synesthesia, if only for forty-one minutes. Chimeric Sound Horn is an extension of an art exhibit at URDLA in France featuring Mazurek’s three-dimensional lithograph cutups. Interestingly, Morten Schneider’s liner notes name check Mark Rothko and Morton Feldman as influences upon Mazurek’s art and music. It’s a fun game to see if you can hear their looming presence. There are cassette players in the exhibit with copies of Chimeric Sound Horn waiting to be played. I wonder what it’s like to be assaulted by this music while wearing 3-D glasses and looking at Mazurek’s cutups? Taken as a pair, Rome and Chimeric Sound Horn represent two of the many sides of Rob Mazurek, one of the more creative people working in sound and visual art. Both albums are worth repeated listening. Another great album that Mazurek released this year is Blind Curves and Box Canyons, a series of duets with the equally creative Thollem McDonas, also recorded in Marfa. Revisit Philip Coombs’s review from June here. Good reviews. As you say, one of the most interesting, and productive, people working today. An eloquent review drawing both of Mazurek's passions (obsessions?) into parallel focus. that Mazurek is at his best away from electronica. (to these ears) perfected, so that it has achieved a certain purity. prone to a rather oppressive multi-layering of electronics within the last half-decade or so.